4. Make use of given items – In the CBT exam room you will receive rough paper, marker and a calculator. Mark down complex calculations on the rough paper so that when you would need to go back to that value it stays written. Also, if you would want to revise a particular question, you would have the data already calculated on the rough paper. During the exam, some people prefer the real-life calculator, others the virtual calculator available in the test engine. It’s a personal choice, but in both cases you should make sure that you are typing the correct data into it. 5. Prepare well – Depending on the level of the competition, the difficulty of the questions is different. 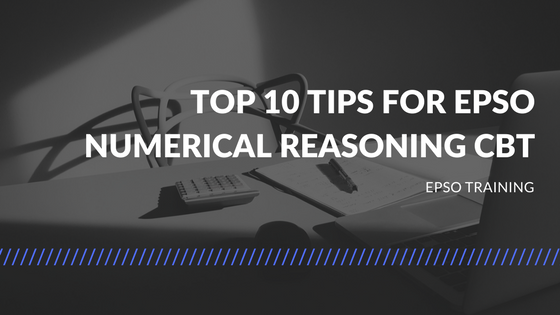 For an Administrator exam, the epso numerical reasoning questions could be more difficult and with more calculations than for an Assistant exam. 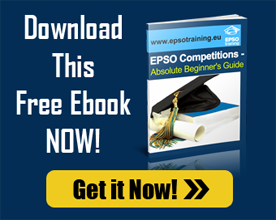 Prepare to meet the same type of exercises – addition, subtraction, multiplication, division, decimal numbers, fractions, percentage – but a different difficulty scale depending on the published EPSO competition. You should be prepared for this situation and practice well in advance for epso tests. 6. Avoid stupid mistakes –Make sure to avoid stupid mistakes that could cost you precious points. One could look at another column in the table, mistype values on the calculator or even check a wrong answer after calculating the correct answer. Try as much as possible to stay focused and do not let these type of mistakes affect your score. 7. Ease your job – Depending on the type of exercise you could round up or down the values given for easier calculations. You will find the answer only by approximation but it will clearly increase your speed of solving the exercise. 8. Check unit measurement – Always look at the unit measurement that data is presented and how the answers are shown. It could be that a value is in thousands while the answer is in millions. In this case, the wrong answer would always be there to trick you so make sure you look for these details and express the answer in the right unit of measurement. 9. Revise if time allows it – If you have enough time, it would be a good idea to go again though the epso numerical reasoning questions, especially through the “marked for review” ones. Just go and validate the logic, re-read the question and see if you took the right data from the tables. 10. Practice makes perfect – I’ve saved the best advice for the end. You should practice as much as possible before the CBT exam date. This way you’ll be able to assess your performance, identify your weakest points and track your progress. Remember that it’s not about passing the EPSO Numerical Reasoning exam but having one of the best scores to allow you to advance to the Assessment Centre that’s why focus and speed have a large impact on the score.